Missing an email How Did Internet "Spam" Get Its Name? How Did Internet "Spam" Get Its Name? Read More is a pain. Perhaps you forgot your password on a website How Password Managers Keep Your Passwords Safe How Password Managers Keep Your Passwords Safe Passwords that are hard to crack are also hard to remember. Want to be safe? You need a password manager. Here's how they work and how they keep you safe. Read More , so you ask them to send you a password reset link. You wait and wait, and the email never shows up in your inbox. Did they forget about you? 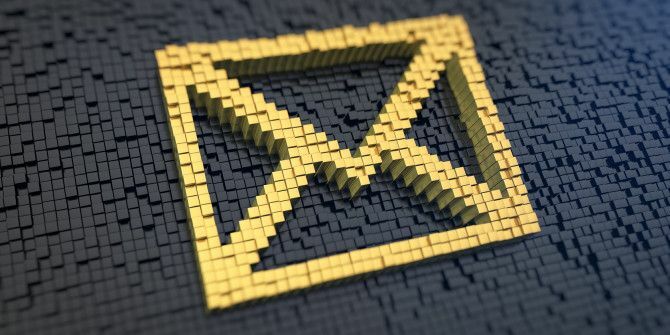 What probably happened was your spam filter 10 Email Problems You Can Solve with Gmail Filters 10 Email Problems You Can Solve with Gmail Filters An overflowing inbox driving you crazy? Do you want to through your inbox faster than ever? Try some of these brilliant Gmail filters to see the difference. Read More picked it up and blocked it. No piece of software is perfect, and even if you have the best email filter in the world, sometimes it’ll block one you wanted to receive. That’s why you need to whitelist email addresses! If you use McAfee to filter your email, here’s how you add an email address to your whitelist to make sure you never miss an important email again. Head to the control console. Enter the email address you want to whitelist in the field labeled Add Entrys under the Allow list. That’s it! Now, you’ll never have an important email blocked by your McAfee filter again. Do you have any cool email tips you’d like to share? Tell us in the comments. Explore more about: Email Tips, McAfee, Whitelist.